Meet Movavi PowerPoint to Video Converter – the perfect software for transforming PowerPoint presentations into video files. 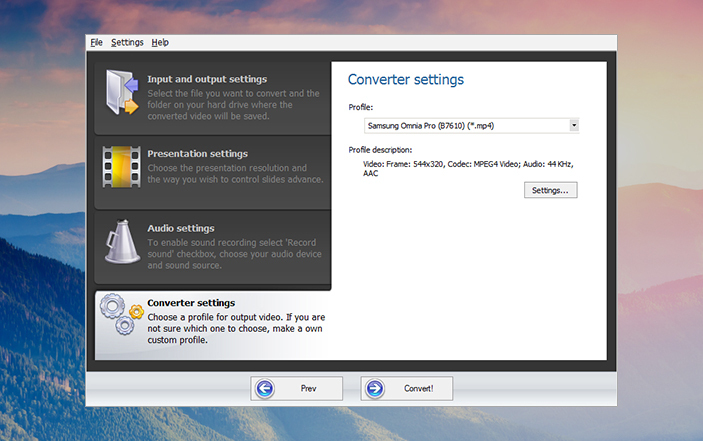 With this program, you can easily convert a slideshow to MP4, AVI, WMV, MOV, or any other popular video format. You can also add voiceover or music to your presentation, optimize it for mobile device viewing, and prepare it for sharing online. Save PowerPoint as a video file and watch your presentation yourself or show it to your audience anytime, anywhere! It’s far more elegant and persuasive to present a high-quality video than simply play a slideshow. And now it’s convenient, too: you can load your videos onto a USB drive, or play them back using any media player on any device running Windows, OS X or Linux. Turning your presentation into a mobile video is as easy as 1-2-3. Thanks to predefined settings specific to each mobile device, your converted slideshow will play perfectly on your device. 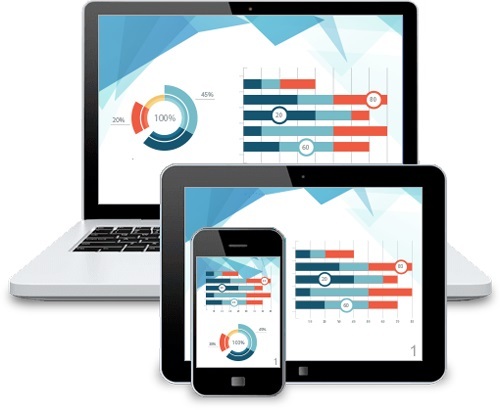 Export your presentations to iPhone, iPad, Samsung, Sony, HTC, or other mobile device and rehearse on the go! Want to publish PPT files on your company blog or sites like YouTube and Facebook? Most video sharing sites don't accept PPT files, so saving them in MP4, WebM, OGV, or other web-compatible formats is the best solution. After conversion, you can easily share your slideshow with the world. 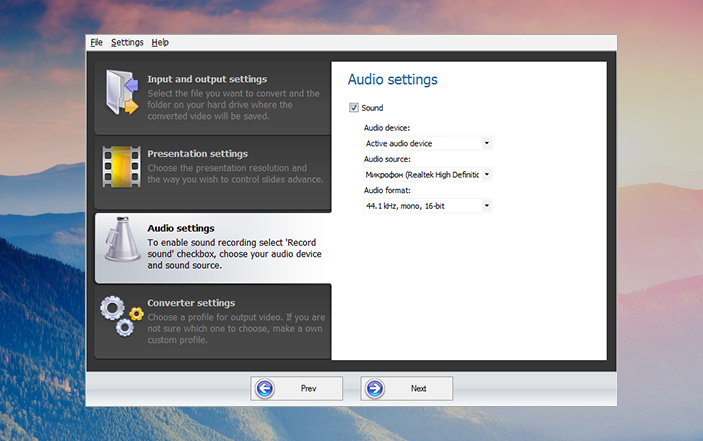 When you turn PowerPoint into video with Movavi, you can add a voiceover and a soundtrack to your slideshow movie. Comment on every slide to create a perfect narrated presentation or add background music to the animation, making an even better impression on your audience. 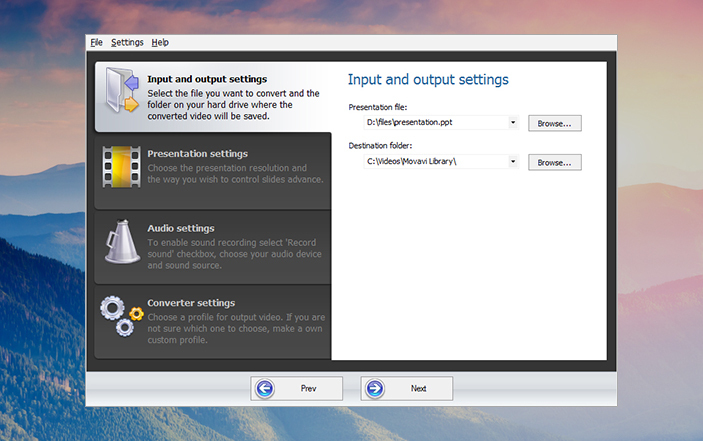 Converting PPT to video is no problem any more. Movavi PowerPoint to Video Converter is the perfect choice if you need to change the format of your PPT presentation quickly and easily. Download our program and try it for yourself!